Graphic Designer | Illustrator | Painter | Art - I create images och draw the whole picture for clients and partners, for kids and myself. 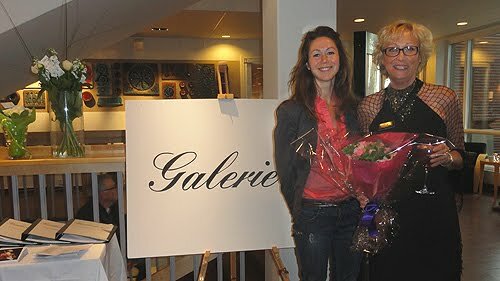 Yesterday Gallery Q celebrated 30 years in the business. My art was chosen together with a number others to exhibit during the anniversary. The art will be there until mid June, don´t miss it. The gallery owner Eva Northun and I. 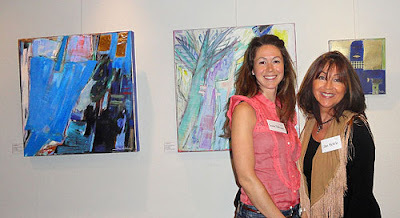 The artist Lillan Michelin and I, with my oil paintings on the wall. 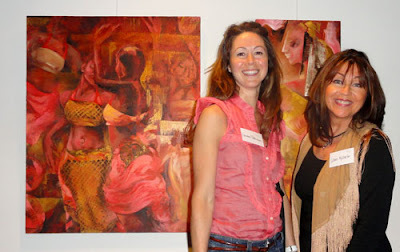 The artist Lillan Michelin and I, with Lillan's oil paintings on the wall.